The 4 Way Sillcock key is a handy item for any Get-Home or Bug-Out bag! It is used to open tamper resistant hose bibs which are usually located on the exterior of commercial and industrial buildings, as well as rest stops. In an emergency situation it would allow you to obtain water from one of these locations. 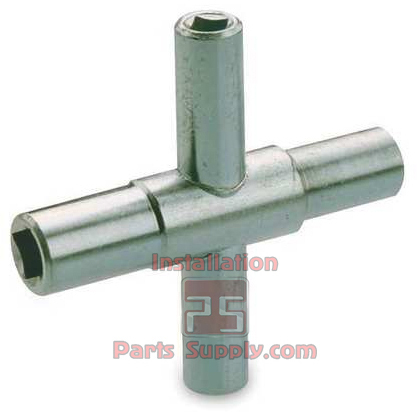 Four-way water valve key has four different sizes for opening and closing stopcocks, sillcocks, faucets and valves quickly and efficiently without having to find a wrench. For use on 1/4" , 9/32" , 5/16" and 11/32" square stems. Includes a vinyl storage pouch.